Can Marine, Benoit, Karine and her friends find 12 warriors to confront the 13 dreaded Lords of Mystrock? Will Jeanne the magical fairy still support them and unleash her devastating spells on the foes? Play Millennium 2, live the tale and find out! 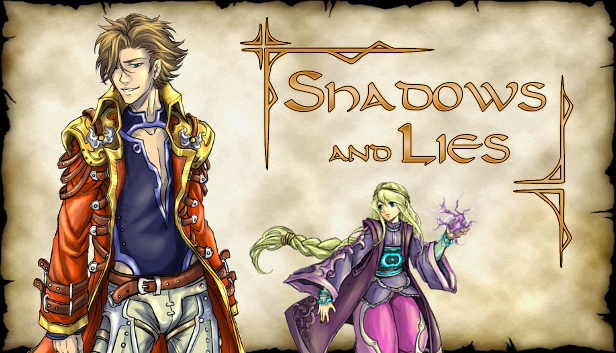 Shadows and Lies also in the pipeline! From the dev team that brought you The Tale of a Common Man and A Timely Intervention! Don't forget also Fortress of Hell! Make sure to wishlist both. Just a quick guide on how to get some of the more difficult achievements and a few notes about items and quests. What transfers over from this game to Millennium 3 from the import file? "RGSS Player has stopped working"
Launch game, grey window, immediate crash. A list of the benefits for the various promotions for each character.